You want your tattoo removed or faded in the shortest time possible, with the least amount of pain and downtime, then you have come to the right place. PicoWay is the most powerful and fastest laser in the world and the only system that has 3 wave-lengths to treat all tattoos including colour. 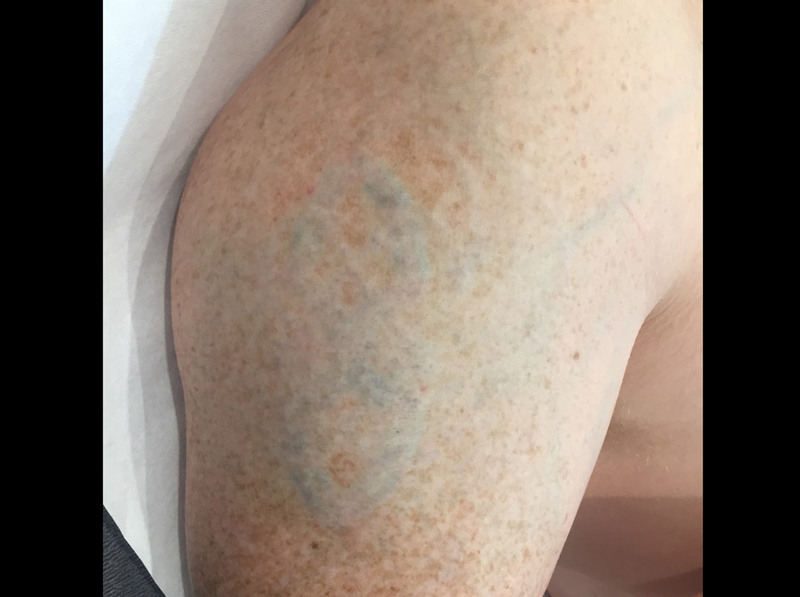 At Detail Tattoo Removal, we are so confident with our PicoWay – Picosecond laser tattoo removal technology that we guarantee to remove any tattoo in 10 sessions or less, otherwise we will continue to treat the tattoo at no additional cost after 10 treatments. 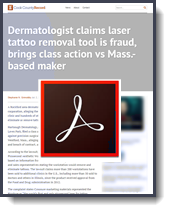 Medical grade lasers remove tattoos by delivering specific wavelengths of laser light into the skin in very short bursts of picosecond or nanosecond pulses of energy, creating a shockwave that fragments the ink and allows the body’s immune system to attack and eliminate the dispersed ink particles. The body’s immune system removes the fragmented ink to fade the tattoo. The number of treatments are determined by the laser system used and the person’s immune system response. The clinicians at Detail Tattoo Removal Sydney are responsible for explaining this process thoroughly during the free consultation. Each expertly trained and accredited clinician will assess your skin type and adjust the laser to provide the optimum setting to deliver the results you expect with minimum discomfort. Our certified dermal clinician will analysis your tattoo then offer honest and professional advice to achieve the results that you expect with your unwanted tattoo. They will take the time to explain the treatment procedure, the science of laser tattoo removal and answer any questions that you may have. What is the difference between Picosecond and Nanosecond? 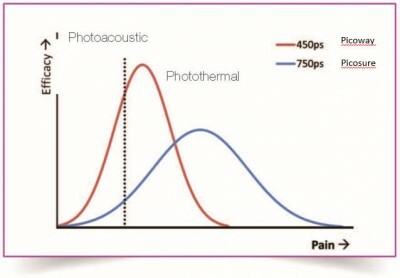 Nanosecond Q-Switched Nd:YAG laser system produces a lot of heat in the tissue during treatment. The recovery time for Q-Switched laser system is between treatments is 8 to 10 weeks vs 2 to 4 weeks for PicoWay Picosecond Laser System. This means you can do not have to wait for as long between treatments. Nanosecond Q-Switched laser system do not shatter the pigment particles as small as PicoWay Picosecond Laser System. On average to clear a tattoo you need between 10 to 15 treatments for Nanosecond Q-Switched Laser System vs 6 to 8 treatments for PicoWay Picosecond Laser System. Less time between treatments plus less treatments mean the PicoWay can remove your tattoo in between 4 – 6 months vs 18 – 24 months with Q-Switched. 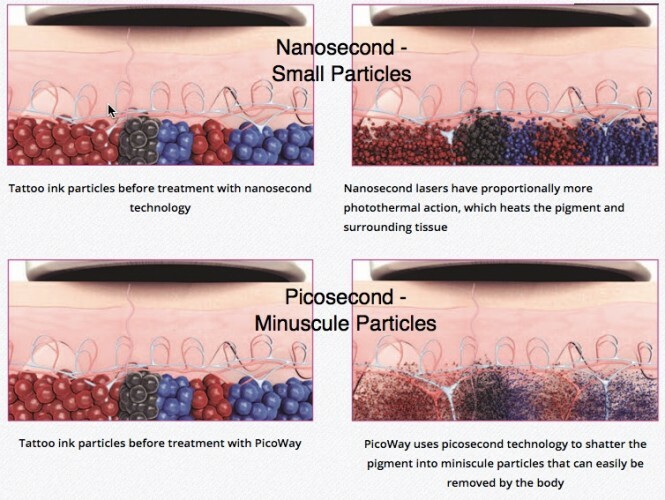 PicoWay technology makes nanosecond Q-Switched Nd:YAG laser system obsolete. What is the difference between PicoWay and PicoSure machines? Picosure was the first Picosecond tattoo removal machine on the market. 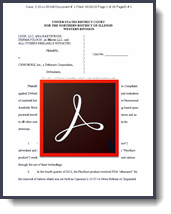 But the PicoWay was released with superior technology that delivered actual picosecond speeds and has improved on this technology in three key areas: * PICOSURE WARNING: US Dermologist brings class action against Cynosure (maker of the Picosure) for selling a laser tattoo system that did not eliminate or remove tattoos. High peak power means greater efficacy and safety.The 450ps pulse of the PicoWay delivers 4.5 times more photoacoustic effect than the lower energy pulse of other picosecond lasers. The 750ps pulse of the other laser generates mostly thermal energy delivered over a longer period of time. The thermal energy is the main source of side effects and lower efficacy. 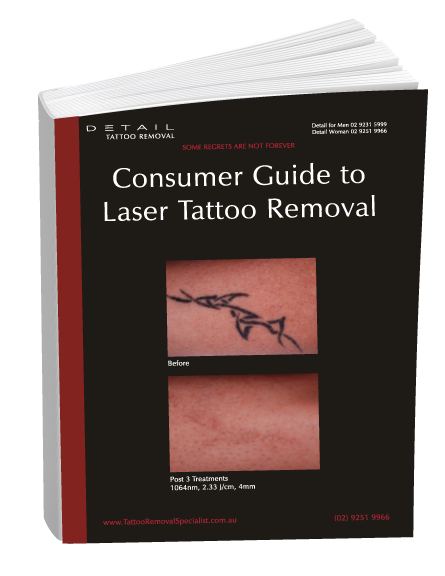 How much do laser tattoo removal treatments cost? The cost of your treatment will depend on many factors including size of the tattoo, skin type and age but the price starts from $65. To get a guide on price, please see the cost for laser tattoo removal Sydney, alternatively you can book a free tattoo removal consultation to get personalised treatment information for you and your tattoo. We also PRICE MATCH and have ZIPMONEY finance options. Our PRICE MATCH POLICY also gives you the confidence that you are getting the most competitive price for the most effective Picosecond Laser system in the world. Can you remove eye brow cosmetic tattoos? Yes, PicoWay is one of the few picosecond laser that is effective in removing cosmetic tattoos. Why do some tattoo removal clinics quote 15+ sessions? 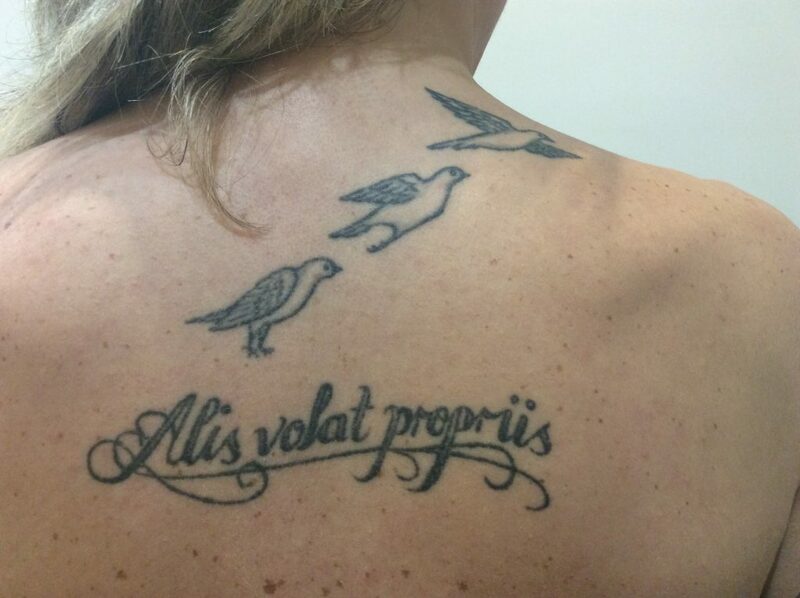 Hopefully you are not considering IPL removal as an option to remove your tattoo. This technology is not designed to remove tattoos and will lead to scarring and skin damage. The reason for so many treatment sessions is that the clinic is using older, slower and less powerful Nd:YAG Q-Switched technology. As you will see from the graphics on this page, there is a significant difference between nanosecond and picosecond devices. As well there is still a significant difference between the PicoWay and PicoSure devices. PicoWay is the only system to choose to remove your tattoos quickly and completely. Choosing an inferior system will cost you more in the long term as the overall costs will end up more expensive with more treatments required than choosing the PicoWay. At Detail Tattoo Removal you do not pay for more than 10 treatments GUARANTEED. 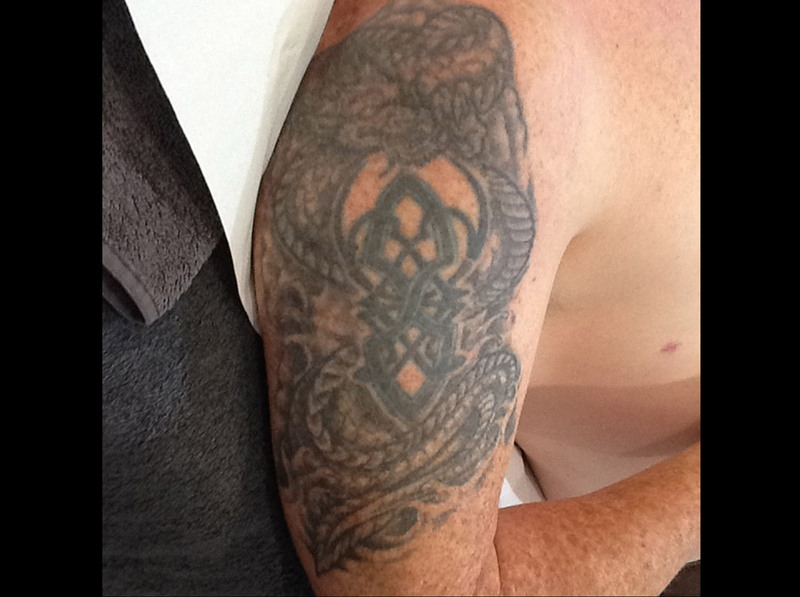 The time between treatments at Detail Tattoo Removal will be significantly less than most other clinics. We have got this down to two weeks between sessions in the past, but this will depend on many factors. If you have never been to Detail Tattoo Removal, you can either give us a call on 02 9231 5999 (Detail for Men) or 02 9251 9966 (Detail Woman) or click on one of the buttons below to make an enquiry or book a free consultation online now. If you already have an appointment booked at Detail for Men or Detail Woman, you can easily add a free tattoo removal consultation to your booking.